BALLARI : Recently, the Taranath Ayurvedic College in Ballari witnessed a scene. Its staff and students gathered at the college entrance as a body was brought out of an ambulance. They stood before the body for a few minutes in respect and chanted a prayer before the body was taken to the dissection hall. The body was of an old woman, Leelavathi from Ranebennur, in Haveri district, who had pledged her body for medical purposes. The man encouraging such body donations and exhorting medical colleges to treat the donors with respect is Dr Mahantesh Ramannavar, professor and HoD (Anatomy) at KLE’s Ayurveda College in Belagavi. 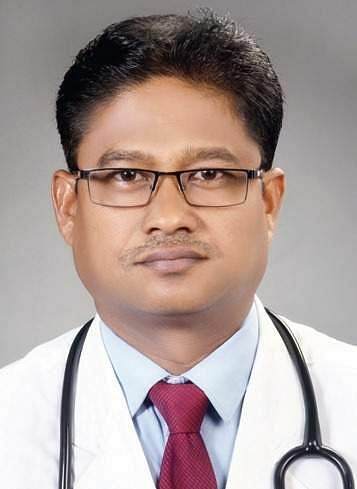 Dr Mahantesh (47) plays the role of a mediator between body donors and medical colleges that are in dire need of cadavers to help medical students study human anatomy. He founded the Dr Ramannavar Charitable Trust, Bailhongal in 2009, in memory of his father, who had pledged his body. The trust is regularly contacted by donors’ families and medical colleges. What makes the donation unique is the way in which the body is treated. “Medical colleges, which approach me for bodies, have been asked to pay respect after receiving the body instead of directly taking it to dissection hall. I have made garlanding and rendering of Dhanvantari Stavan compulsory after the body is received. Through the practice of paying respect, I want to tell the people that body donation is a holy act which ultimately helps make advancements in science. I believe that paying respect to bodies will inspire more people to donate their bodies after death,” he said. A total of 554 donors have registered to pledge their bodies through his trust. Through the trust and the Dr Ramannavar Foundation, which deals with body donation, Dr Mahantesh has facilitated donation of almost 60 bodies since 2009. He also promotes organ donation and blood donations. The doctor, who has pledged to donate his body and inspired his family members to do so, says times have changed and the stigma attached to body donation is slowly eroding. But there are mistaken notions too. Dr Mahantesh feels religious leaders should play a bigger role to change the mindset of people. “Some religious heads are doing it and some have even pledged their bodies. To also help some families facilitate last rites and to give them some peace of mind, I allow a part of the body, say a toe or a foot to be handed over to the donor’s family,” he adds. All from Manjunath Munavalli’s family, including his 88-year-old mother, have pledged to donate their bodies. “Dr Mahantesh is the inspiration. He is the first anatomist in the world to dissect his father’s body. He has inspired people to donate bodies across the state,” said Manjunath.